We’ve been serving Tennessee with janitorial services for both residential and commercial clients for 25 years now! 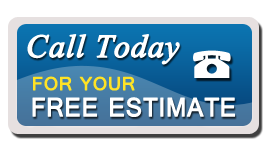 We specialize in carpet cleaning, water damage restoration and air duct cleaning . We are a company that is dedicated to offering our clients the best service with the best cleaning you’ve ever seen! We believe that great customer service is essential in customer satisfaction. Our personal approach and customized management systems allow us to create a unique blend of janitorial services to precisely meet the cleaning needs of our customers. We are committed to meeting and exceeding client expectations by providing superior cleaning and janitorial services, and by carefully managing quality control processes. Our commitment to quality ensures a clean and healthy office environment. Whether it’s just cleaning your windows or vacuuming your carpet, we strive to let our work speak for itself. We take great pride in it, and we always guarantee your satisfaction! With C&P Enterprises there are no hidden fees and no contracts, be sure to ask about our 100% guarantee! So give us a call today, we are here to answer any and all your questions.